In business, one person’s success may not look like the next. While we may arrive at success differently, what cannot be denied are principles that are consistent with success! Hard work and grit will, over time, greatly enhance the likelihood of success, for example. 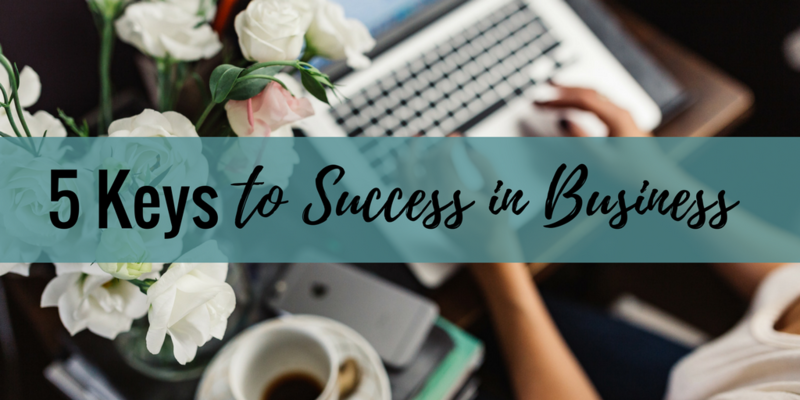 If you can adopt these success principles you can considerably enhance your odds of success. Consistently track results. ‘That which is measured improves.’ Success requires feedback, but feedback that gets ignored becomes useless. When you track results you get really good at finding out what’s working and what isn’t. This gives you the power to course correct and make the necessary adjustments that will undoubtedly benefit your bottom line. Prioritization is key. There are only 24 hours in a day and there’s only one you! That means there’s a limit to what you can do, no matter how efficient you are. It also means you should only focus on matters most. Instead of attempting to do it all, or getting caught up in the details, you should spend your time on activities that mean the most for your business and that cannot be outsourced or delegated. Delegate, Delegate, Delegate. In business, those things that can be delegated should be delegated as soon as possible. You can’t do it all by yourself. Use the people around you to your best advantage. Delegate those things that are not priority tasks. Delegate those things that you’re not great at doing. As they say… ‘It takes a village’ to grow a business. Anticipate self-sabotage. The uncomfortable truth is we’re not always our best selves. Our future behavior can be a bit of a mystery, even to ourselves. This is something we need to account for in advance. Even the most successful people can’t predict their behavior 100% of the time. Planning ahead for moments of weakness makes it harder for us to lose. In business, as in life, we usually win or lose based on our own efforts, or lack thereof. Anticipating and safeguarding against self-sabotage is the type of thinking that really can make success inevitable. Take calculated risks. No risk, no reward! In business, you have to be able to live in risky, new and uncomfortable spaces. Playing it safe doesn’t work well in a world of innovation and competition. Learning to take calculated risks is truly the difference between being a player in the game or sitting on the sidelines watching other people score points on the board. Incorporating these principles will give you a great foundation for success in business. Taking the time to develop these skills is a worthwhile effort that will ensure positive results. As we know, success leaves clues, and many of those clues can be found in principles like the ones listed here. So when you take the time to develop the necessary skills, you greatly increase the odds of your success.